Circulatory shock is the clinical syndrome corresponding to acute circulatory failure, and can arise from a number of disease processes. The key feature of all forms of circulatory shock is an inability for tissues and cells to get enough oxygen in relation to their oxygen needs, ultimately resulting in cell death. Circulatory shock thus represents a critical condition where rapid and effective treatment can make the difference between life and death. In this chapter, we will briefly review the definition and pathophysiological classification of shock, principles of monitoring in patients with shock, and general management strategies. Circulatory shock is essentially defined as a failure of the circulatory system to maintain adequate blood flow. As a result, delivery of oxygen to the tissues is impaired and the risk is of tissue ischemia leading to cellular dysfunction and organ failure. Classically, circulatory shock has been divided into four key types – hypovolemic, cardiogenic, obstructive, and distributive – according to its pathophysiological features . However, although this provides a useful means of characterizing shock, many patients with shock will actually present aspects of several of the types of shock simultaneously. of fluid loss is acute hemorrhage, but severe vomiting or diarrhea, particularly in children and the elderly, can also be associated with hypovolemic shock. Patients with hypovolemic shock typically have a low cardiac output (due to reduced venous return), associated with decreased cardiac filling pressures and increased systemic vascular resistance (SVR). Cardiogenic shock is the result of failure of the cardiac pump and is associated with particularly high mortality rates. Although most commonly the result of acute myocardial infarction with loss of large amounts of functioning myocardium, other causes include severe cardiac valvular disease, end-stage cardiomyopathy, and severe cardiac arrhythmia. Patients with cardiogenic shock typically have a low cardiac output, elevated cardiac filling pressures, and a high SVR. Obstructive shock is the result of an obstruction to normal circulatory flow. The most common causes are massive pulmonary embolism, severe aortic coarctation, severe aortic stenosis, and cardiac tamponade. Patients with obstructive shock typically have a low cardiac output and high SVR. Distributive shock is the most complex type of shock and is associated with an abnormal or uneven distribution of blood flow. The most common cause of distributive shock is sepsis, but other causes include anaphylactic shock and acute adrenal insufficiency. The patient with distributive shock typically has a normal or high cardiac output, reduced SVR (as vascular tone is reduced), and reduced cardiac filling pressures. Monitoring of the patient with shock essentially involves measurement of global hemodynamic and oxygenation variables. Although shock is associated with impaired microcirculatory perfusion, techniques to monitor regional flow and oxygenation remain limited, although this is an area of keen ongoing study. A large range of hemodynamic monitoring techniques is available and the choice for each patient will depend on the severity of the shock and the specific etiology. Electrocardiogram, blood pressure, and heart rate are the minimal routine parameters that must be monitored continuously in all patients with shock. Blood lactate levels provide a global indication of tissue hypoxia and should also be monitored. Increasingly we are being encouraged to monitor our patients noninvasively, but in complex cases, invasive monitoring is still needed. Importantly, whichever technique or combination of techniques is used, hemodynamic monitoring can only be effective when the data it supplies are correctly interpreted and applied to the individual patient. Concerns have been raised about the benefits, or lack thereof, of invasive hemodynamic monitoring systems, perhaps particularly those related to the pulmonary artery catheter (PAC) , and considerable research has been conducted into finding and developing noninvasive alternatives. Echocardiography is widely used to evaluate the etiology of cardiac dysfunction, but can also be used to monitor cardiac output and ventricular volumes and to guide fluid and vasoactive drug therapy, especially with newer portable models. Various hemodynamic variables can be estimated using different echocardiography techniques, including cardiac output, pulmonary artery pressure, pulmonary artery occlusion pressure (PAOP), left atrial pressure, pulmonary vascular resistance, and transvalvular pressures . However, echocardiography requires considerable operator training and skill and studies have demonstrated inconsistent results in terms of correlation with PAC thermodilution cardiac output . Moreover, echocardiography can only provide intermittent, and not continuous, monitoring. This noninvasive technique calculates cardiac output by measuring variations in impedance to flow of a high-frequency, low-magnitude alternating current across the thorax or the whole body. Bioimpedance can be unreliable in patients with pronounced aortic disease, significant edema or pleural effusion, increased positive end-expiratory pressure, or very high or small body weight . Movement artifacts can also be problematic. While some studies have shown fair-to-moderate agreement between bio impedance and thermodilution-derived cardiac output, others have not and further study is required before this experimental technique can be more widely recommended. In this technique, cardiac output is estimated by assessing changes in carbon dioxide (CO2) elimination and end-tidal CO2 in response to a brief re-breathing period. This technique is unreliable in patients with respiratory failure, and again, while several studies have reported good agreement between the partial CO2 rebreathing technique and thermodilution cardiac output, others have not. Central venous lines are often inserted in critically ill patients as they provide access to the central venous circulation and can therefore aid in the delivery of fluids and drugs. However, central venous lines can also be used to monitor the central venous pressure (CVP), which provides a measure of circulatory filling and cardiac preload, and central venous oxygen saturation (ScvO2), which provides an indication of the adequacy of oxygen transport. The important study by Rivers, et al. demonstrated improved outcomes in patients with sepsis managed by early goal-directed therapy in which one of the targets was an ScvO2 >70% . This study, combined with increased fears related to the use of PAC, led to increased interest in ScvO2 monitoring. Several studies have demonstrated a good correlation between ScvO2 and SvO2, measured with a PAC, particularly when changes over time are considered [7,8]; if a PAC is not required for other reasons, ScvO2 is, therefore, probably an adequate indicator of the adequacy of tissue oxygenation. The central venous line may also be used to measure cardiac output if an arterial line is also sited. The pulse contour cardiac output (PiCCO) system monitors temperature changes in the arterial system after injection of a cold saline bolus intravenously and calculates cardiac output from analysis of the thermodilution curve. The lithium dilution cardiac output (LiDCOplus) calculates cardiac output from a concentration-time curve of the arterial lithium concentration after a small intravenous bolus injection of lithium. Other parameters can also be estimated, including pulse pressure variation and stroke volume variation, which can indicate fluid responsiveness. The cardiac output measured using these techniques has been validated against standard PAC thermodilution cardiac output, and they may be of use in patients who do not require a PAC for other reasons. The PAC has an inflatable balloon at its tip that allows it to move with the blood by flotation. Introduced intravenously, usually via the subclavian or internal jugular veins, the PAC progresses through the right atrium and ventricle to the pulmonary artery. The PAC was initially developed to measure the PAOP, with the balloon briefly inflated and carried by the flow of blood until it wedges in a branch of the pulmonary artery, occluding blood flow distal to this point. The pressure measured at this time thus represents the pressure that exists beyond the pulmonary capillaries, i.e., the pressure present in the left atrium which, in the absence of any abnormality of the mitral valve, is itself equal to the pressure in the left ventricle, thus providing an indication of left ventricular preload. The PAC can also provide measurement of right atrial pressure, right ventricular pressure, and pulmonary artery pressures, and when equipped with a thermistor can be used to calculate cardiac output by thermodilution. When equipped with several thermistors, almost continuous measurement of cardiac output can be obtained. As venous blood from all parts of the body is collected and mixed in the right heart chambers before passing through the pulmonary capillaries, the PAC can also be used to measure the SvO2. There has been considerable debate in recent years over the benefits and harms of PAC insertion in ICU patients. In a randomized controlled trial of patients with severe symptomatic and recurrent heart failure, management guided by PAC-derived data was not superior to management guided by clinical assessment alone . Several meta-analyses have similarly reported no global benefit of pulmonary artery catheterization in critically ill patients [2,10]. However, in patients who are hemodynamically unstable and in complex patients, PAC-derived data can provide a more complete and accurate evaluation of hemodynamic status and be of value in guiding therapy. Importantly, for PAC-derived data to be of use, physicians must be trained in its correct measurement, correct interpretation, and correct application . Monitoring global hemodynamic and oxygen-derived variables provides important information about global recovery, but little information about the state of local perfusion, which can remain impaired even after global parameters have apparently returned to normal . Various techniques have been used to monitor changes in regional circulation and oxygenation during circulatory shock, but none has yet gained widespread acceptance in clinical practice. The gut is particularly sensitive to reductions in blood flow and has been a key focus for such techniques, notably with gastric tonometry, but the need for interruption of enteral feeding and concomitant use of H2-blockers with tonometry still limit its practical application in the ICU. Moreover, therapy guided by gastric intramucosal pH (pHi) was not shown to improve outcomes . Sublingual capnometry and near-infrared spectroscopy are other indirect means of monitoring the microcirculation that have been investigated. Direct techniques of visualizing the microcirculation have also been developed, including orthogonal polarization spectral (OPS) imaging and sidestream dark field (SDF) imaging. In addition, semiquantitative scores have been created to analyze the images seen with these techniques . Using OPS imaging, De Backer, et al. reported frequent microvascular blood flow alterations in patients with cardiogenic shock and severe heart failure, which were more severe in patients who died . Sakr, et al. reported that persistent microcirculatory changes were associated with organ failure and death in patients with septic shock . Using the same technique, these authors have also reported the effects of various therapeutic agents, including blood transfusion, hydrocortisone, and drotrecogin alfa (activated) on the microcirculatory changes [17–19]. (2) resuscitation to restore perfusion and oxygen balance. Clearly if the underlying cause is not corrected, resuscitation is unlikely to be successful. Detailed analysis of how to correct the cause of all the many possible causes of shock is beyond the remit of this chapter, but in general terms, in patients with hypovolemic shock due to hemorrhage, bleeding must be stopped. In patients with cardiogenic shock due to myocardial infarction, thrombolytic agents or percutaneous coronary intervention (PCI) are first-line strategies. In patients with obstructive shock due to tamponade, pericardial fluid should be drained, and in pulmonary embolus, thrombolysis or surgery may be used to remove the embolus. In septic shock, antibiotics must be administered early and any source of infection should be removed. 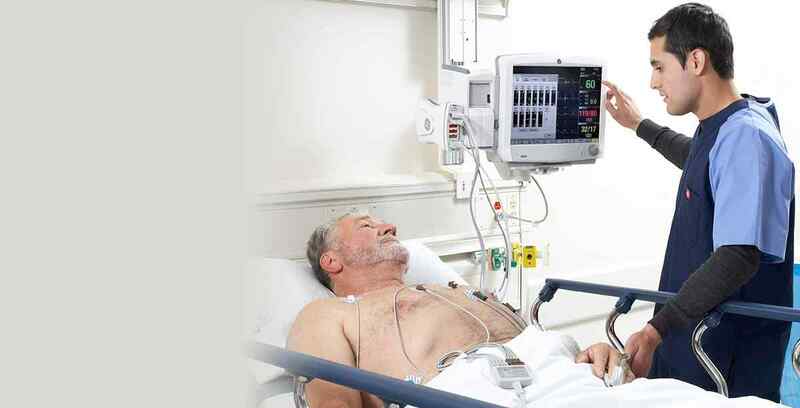 Ventilate: As oxygen supply to the tissues is decreased during circulatory shock, oxygen should be given routinely to all patients with shock until blood gas results are available. Artificial mechanical ventilatory support should be started in any patient in whom mask ventilation is unlikely to be adequate. Infuse: Fluid therapy aims to improve microvascular blood flow by increasing plasma volume, and increasing cardiac output by the Frank-Starling effect. The choice of fluid is probably less important than ensuring that adequate fluids are received and combinations of crystalloid and colloid are widely used in practice. Importantly, too much fluid can cause pulmonary or peripheral edema and a fluid challenge technique is the best method of determining a patient’s ongoing need for fluids  (Table1). Blood transfusion may be necessary, but recent studies support a more conservative approach to transfusion than in the past. Pump: Vasopressors are usually required to restore arterial pressure in patients with shock and the choice of vasopressor may vary according to the underlying cause of the shock. For example, epinephrine is the drug of choice in anaphylactic shock and is also used in cardiac arrest, but due to its potentially detrimental effects on the regional circulation may not be the best choice in other types of shock. Dopamine and norepinephrine are the two vasopressor agents most commonly used in the treatment of shock and there are no consistent data suggesting that one is better than the other. Both drugs have potentially beneficial and detrimental effects and until further data are available comparing these two agents, both are recommended as first-line agents. Inotropic agents are also often indicated in the presence of reduced myocardial contractility and dobutamine has become the agent of choice. Importantly, dobutamine should not routinely be used to increase DO2 to supranormal levels as was popular in the late 1980s, but should be titrated on an individual basis to achieve acceptable oxygenation parameters. The type of fluid: The type of fluid that should be administered remains a matter of debate. Other vasoactive drugs that may have a role in some patients with shock include vasopressin analogues, phosphodiesterase inhibitors, levosimendan, sodium nitroprusside, and nitrates. Intensive care medicine is a specialty based on relatively little randomized controlled evidence and there are many remaining questions regarding the management of patients with acute circulatory shock. For example, what type of fluid should be given and how much? Which vasopressor agent is best? When should dobutamine be started and at what dose? Many studies are ongoing to try and provide answers to some of these questions. However, some general recommendations can still be made. Hemodynamic monitoring and appropriate therapy must be initiated early. The precise nature of the monitoring will depend on the severity and specific type of the shock. Noninvasive monitoring can provide information on a variety of hemodynamic parameters including blood pressure, heart rate, cardiac output, PAOP, right atrial pressure, and pulmonary artery pressures. Insertion of an arterial line and a central line are frequently necessary in patients with circulatory shock and can be used to assess CVP and ScvO2. In patients with continuing hemodynamic instability who fail to respond to standard therapy, insertion of a PAC can provide additional, semicontinuous information on filling pressures and SvO2. Hemodynamic support must be titrated to individual patients according to repeated clinical evaluation and global parameters of hemodynamic and oxygenation status. New techniques to monitor the microcirculation will become more widespread in the near future and will help guide resuscitation and ongoing therapy.